Brought to you by Heineken Rugby Club. Be there for all the action. Imagine you could catch every one of your rugby team's home and away games in Europe this season. That's a lot of big nights in amazing European cities and some rugby trips that you'll never forget. So a Leinster fan could be jetting out to the likes of Montpellier and Glasgow or a Munster fan could enjoy destinations like Paris and Castres. An Ulster fan could be off to La Rochelle and London while a Connacht fan could be on their way to Oyonnax or off to Worcester. It sounds pretty amazing to us. 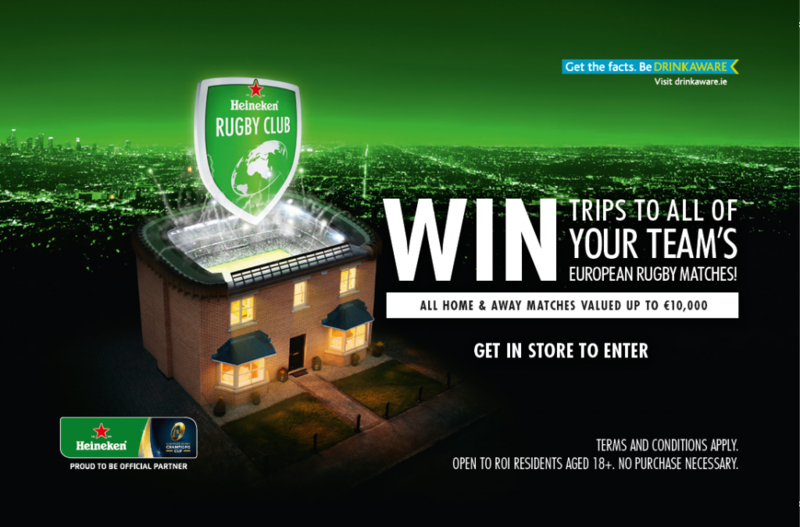 And that rugby-themed dream could come true if you enter Heineken Rugby Club's latest competition. They're giving one lucky rugby fan the chance to go to all their team's European matches. Forget about having to book flights, accommodation or tickets. It's all covered. This prize covers all home and away matches up to and including the final! So how do you enter? You'll need to get yourself into participating SuperValu stores between 28 September and 11 October and pick up a pack to find out more. It's the ultimate prize for rugby fanatics, especially if you love hitting the road with your team. 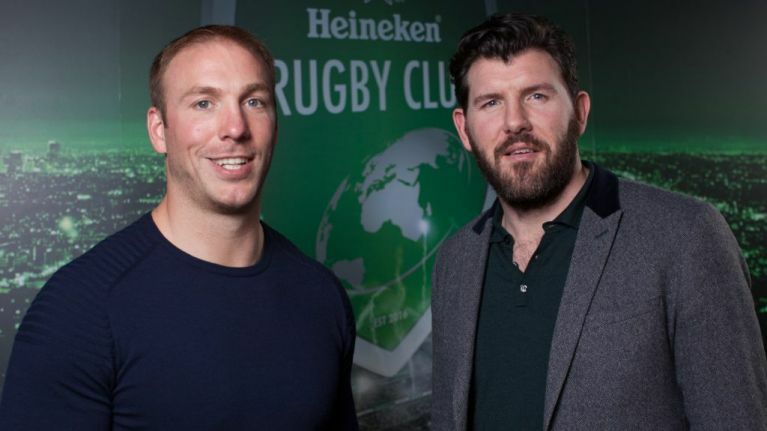 Heineken Rugby Club are constantly offering their members exclusive rugby content, rewards and competitions. It's free to sign up and it's all about celebrating the social side of rugby and rewarding the fans who make the game what it is. Check out the Heineken Rugby Club website for more information. 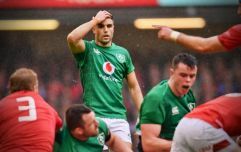 Heineken Rugby Club will be offering exclusive in-store prizes in SuperValu stores throughout the country from 28 September until 11 November. Shoppers can also enjoy the experiential activations that will be taking place in-store. The competition is open to all ROI residents aged 18 and over. Terms and conditions apply. Please drink responsibly.